Sometimes you just know when you’ve got the perfect location for a great flight. 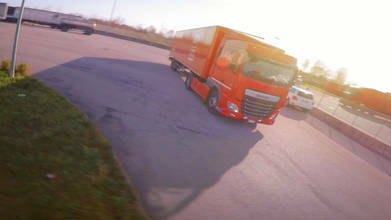 Although it’s not a spot to write home about, this truck, shipping-trailer parking lot adds just the right amount of edges and corners to create the epic flow George FPV was looking for. His simple yet captivating flight landed him on our FPV Pilots to Watch list for the week of March 29th, 2019.